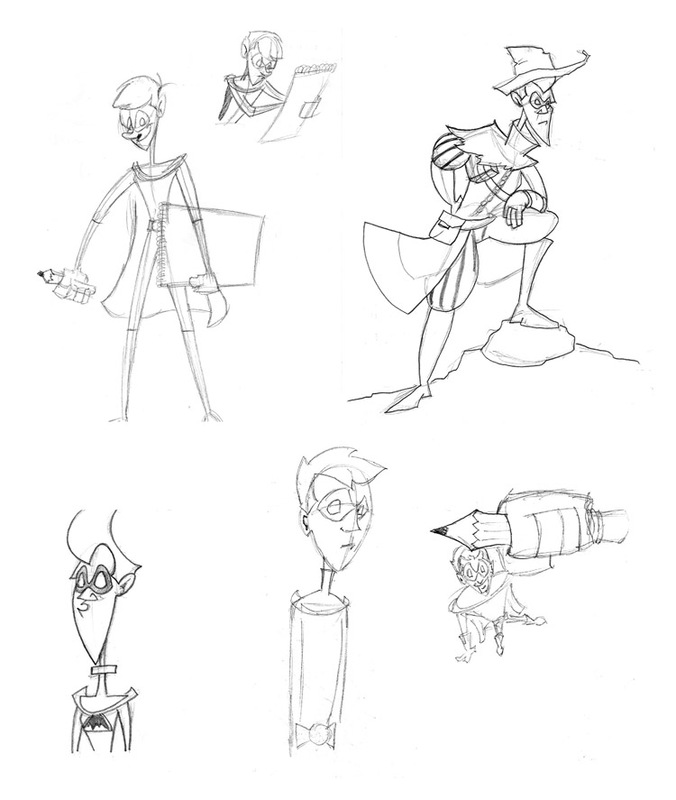 As promised, here are a collection of sketches that have helped bring Midnight to where he is today. Starting out as a moniker I chose in college to help me oust the cartoonist (a charlatan and a phony in my eyes) from the school newspaper, I simply mixed a little bit of a certain Caped Crusader with the Midnight Bomber from The Tick (“What Bombs At Midnight!”) to craft what would someday become my alias for the Digital Strips webcomics news team. As you can see from the sketches, Midnight has gone through some changes, but the costume and fun-lovin’, naive persona has always remained the same. Whether his hair was down or up, he was always about finding the fun in life, regardless of the real-world pressures that might be surrounding him and his friends. But just what was it that made Midnight into the man… ok, boy of valor that he is today? Was he ever normal? Come back next Monday to begin a tale we like to call, DSA Origins: Midnight!